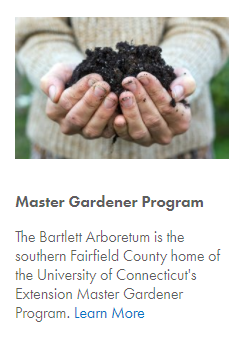 Bartlett Arboretum & Gardens - Stamford, CT - FAIRFIELD COUNTY "IT!" Michael A. Russo is owner, “farmer- florist, ” and creative force behind Trout Lily Farm. He has been involved in floral design since 2003. Michael is also a certified CT Master Gardener and an inquisitive naturalist, who has a keen awareness of what is available each season. Recently retired from 33 years in a career as an art educator, Michael uses his innate knowledge of color, composition, and balance to create beautiful and unique floral creations for private and commercial clients. Spaces are limited for this popular workshop.... avoid disappointment and sign up now! 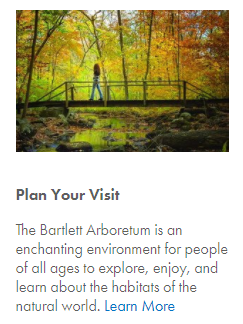 Spend summer at the Bartlett Arboretum! Our annual ArborEarth Festival event is scheduled for Saturday, April 27th. A fantastic family event with lots of fun activities for all ages! Learn more. ​This is a very special plant sale! Of course you will be tempted by an alluring selection of native perennials and shrubs. You will be enticed by the sight and scents of our herbs and veggies. PRE-REGISTER TODAYABOUT ERIN BACKUS:Erin holds a Bachelor’s Degree in Plant Science from SUNY Cobleskill and a Master’s Degree in Rehabilitation Counseling SUNYBuffalo. She is a nationally Certified Rehabilitation Counselor and a Professionally Registered Horticultural Therapist. Google Calendar ICSSave the Date! Our 2019 backyard gardening series continues! We are excited to welcome Margaret Roach. for You and Your Dog! From the visitor parking lot, find the kiosk, where you can grab a map of all of the trails. Right next to it, you will find the start of the Red Oak Trail. Follow the red-marked trees to stay on the trail. This trail can be a bit challenging to start off, with large tree roots and rocks throughout. But don't worry—the scenic views are sure to make it worth it! After crossing a long bridge and climbing up a short set of rugged stairs, you and your pup have made it through the most difficult part. Visit our website and learn how you and your dog can become Members and enjoy all the perks that we have to offer including summer Yappy Hours (social hour for you and your dog)! 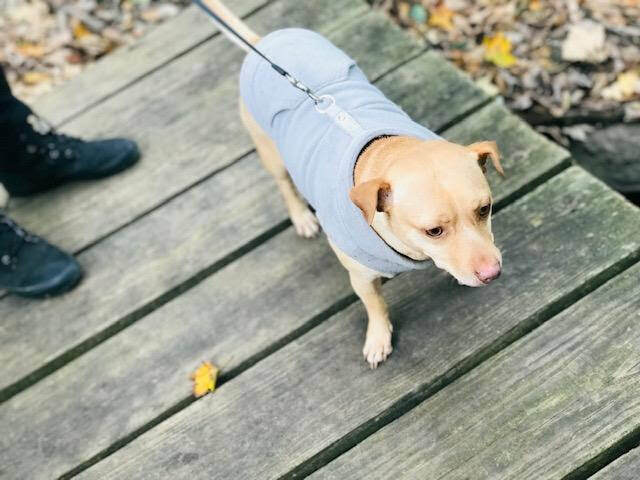 And don’t forget to download our App so that you and your dog can walk and learn your way through beautiful trails at the Bartlett! (Outreach for Pets in Need) offers FREE dog training classes in our parking lot during good weather, and in our basement-level herbarium in the Silver Educational Center when it’s inclement. Learn More. forget to bring a leash for your dog. Enjoy! HOW DOES $25,000 BECOME $50,000? 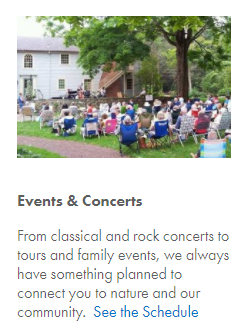 Friends Jane Carlin and Ben Gifford have made a generous challenge to the Bartlett Arboretum community: If we can raise at least $25,000 during our Fall Annual Fund drive, they will donate $25,000 to support our children’s education programs and camp scholarships. 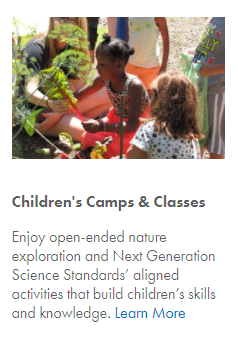 It takes a lot of gifts, big and small, to support the quality education programs we offer, including STEM education for all Stamford 2nd graders and quality nature-based summer education programs for children from Inspirica. The 5,000+ children we serve each year on our 93 acres of hiking trails, plant collections, and majestic trees will be the future stewards of the Arboretum and our environment. Your support is critical to our continued success. Click here to read our annual fall appeal letter. Thank you! WILL YOU HELP MEET THE CHALLENGE?